Maybe I’m old-school, but I find myself longing for the days when journalists—or anyone writing content and sharing it with others—at least attempted to get the facts straight. That’s why this issue bugs me so much. It started last week when I saw an article in an online ag news outlet about how 2017 yields weren’t dampened by wet harvest conditions. Then I saw that the article quoted some grain marketing specialists, including my friend Karl from Iowa, although they called him Carl. The errors didn’t stop there. Instead of listing his proper title of risk management team leader, the writer called him a “risk leader.” Wow—there’s a big difference between a risk leader and a risk management leader, I’d say. I couldn’t resist e-mailing Karl. What’s even worse is I spelled out my name, first and last, to him, and my job title. I believe he was an intern and was past the point of caring. Then I had my own brush with inaccurate reporting. I offering a history program and book signing in central Iowa recently. The event was covered in the local press, which was great, until I spotted three errors in one 22-word sentence. I learned that I moved to Granger (not true—I still live in the country near Lake City and Yetter), my latest book came out last September (not exactly–it was released Sept. 4, 2017), and my book is called “Dallas County Images.” (Strike three. It’s “Dallas County,” which is part of Arcadia Publishing’s Images of America series). Before I even read the article, I knew something was wrong, because a friend e-mailed me and asked if it were true that I had moved to Granger. (I lived near Granger from 2001-2006, and while it’s a great place, I have no plans to move back.) Oh boy. So these two recent examples left me with one question. Why were there so many careless errors that the writers could easily have avoided? While these are helpful tips for any of us who want to become better communicators, they are essential for professional communicators. I don’t believe it’s unfair to hold professional communicators to a higher standard. 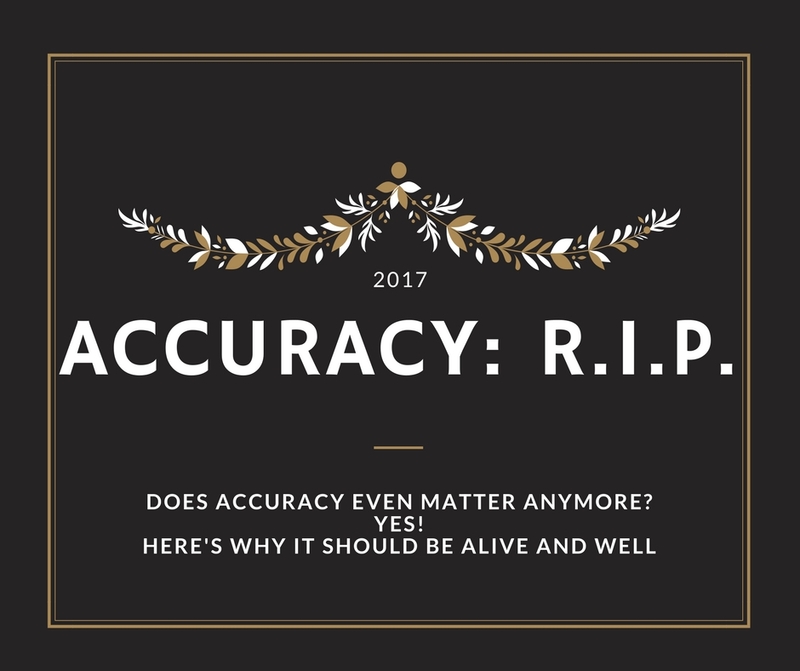 After all, accuracy isn’t old-fashioned, even if it is increasingly rare. It’s vital for clear communication that positions you as a trusted resource—an advantage that will never go out of style. So now I’d like to hear from you. What are your pet peeves when it comes accuracy (or the lack thereof) in communication? Join the discussion, and leave a comment. Thanks for stopping by. I invite you to read more of my blog posts if you value intriguing Iowa stories and history, along with Iowa food, recipes and tips to make you a better communicator. I see this done in our local paper everyday! Doesn’t a newspaper have any proof readers any more? Very sad journalism and when you bring it to their attention they just don’t seem to care. Sad! The same cub reporter misspelled the name of a local city council candidate last week. Sad. I find so many spelling mistakes in newspapers, etc. Such as using “birth” in place of “berth”. Or use of ME or I, etc. Those errors frustrate me!